This looks like an excellent update for the iPad. I hope that the iPhone app will be similarly updated before long. Hi James, thanks for getting in touch. We’ve been working on a couple of things on the app recently, once we get those done (they’re quite big things) then we’ll bring the iPad updates over to the iPhone. Sorry for the discrepancy between the two versions but it is on our radar. I can only guess at when we’ll have it done but it will be a few months. Best garden app I have found. It will even be better as you add more features such as being able to back up data. Getting data loaded in. The more I use this app, the better I like it. I am still loading data to catch up my gardens. I have a greenhouse, small hydroponic system, 3 raised beds and a regular garden and I have set up each as its own separate garden. 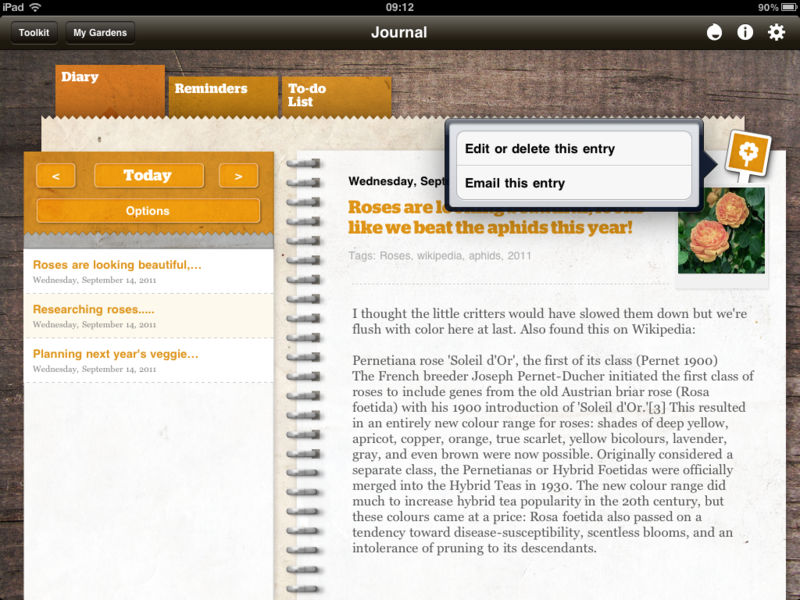 I especially like the way you can enter notes for each plant, keeping a journal of sorts for each plant. This lets you track each plant’s progress, nutrients added, watering etc. A couple of things to consider is adding the ability to add progress pictures for each plant and a short cut to insert today’s date. Keep up the good work and I look forward to the next update. For now, I am busy loading all my information in the system.